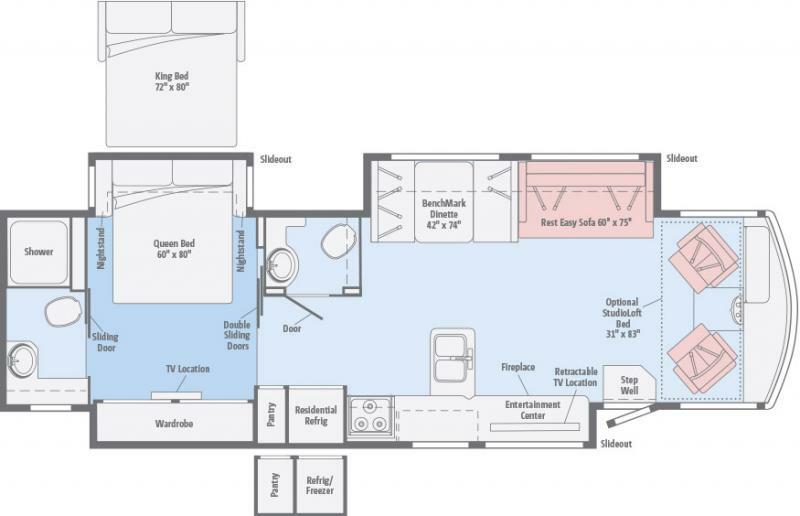 The 3953 is a great quad slide floorplan in the Newmar Canyon Star line. Combination washer/dryer, king bed and lots of storage make this a great coach for the longer trips. This 2017 Winnebago Vista 32YE only has 2,287 miles and looks brand new! King bed, four door refrigerator and two ducted roof a/c units, this coach is ready for extended travel. 2018 Winnebago Sightseer 36Z. This a great bath and half floor plan with a cab-over bunk. 2017 Tiffin Allegro 31 MA. RV rental. RV service. We buy RVs. 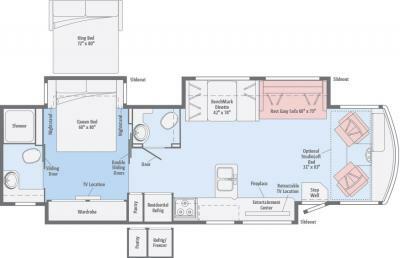 This is a wonderful floorplan for a couple that wants to travel the country. The large mid-cabin TV and opposing slide give this smaller class A the feel of a larger coach. 2007 Fleetwood Terra 32S. Rv service. RV paint and body repair. RV rentals. RV storage.